Last night, I met Miguel Syjuco, a Filipino journalist and author who won the Man Asian Booker Prize for his novel Ilustrado. Miguel was the star attraction at an event at the venerable School of Oriental and African Studies titled: Truth and Fiction in the Age of the Strongman. Miguel gave the keynote address and I delivered a response. 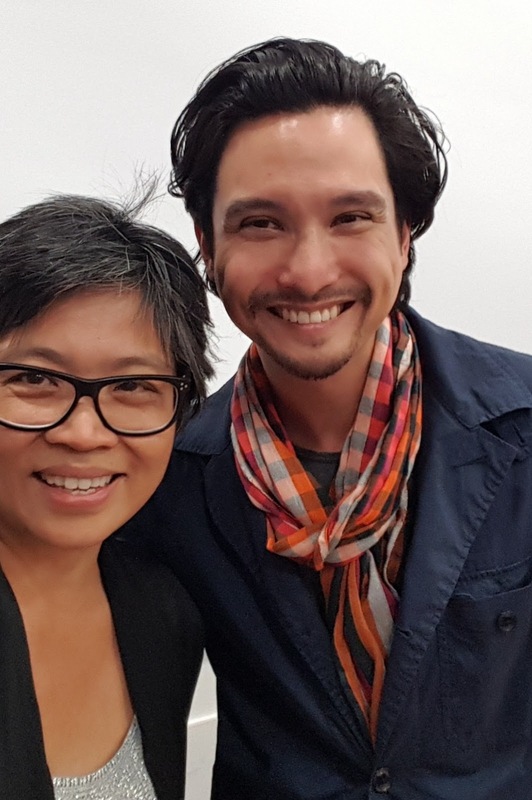 Miguel is highly regarded for his award-winning first novel (the Guardian review described Miguel as 'a writer already touched by greatness'), and he has developed a following of his own through his journalism and commentary in social media – indeed his feed is regularly the target of pretty horrible attacks by defenders of Philippine President Rodrigo Duterte. But what has caught my attention over the past year has been Miguel's willingness to use his own resources to see for himself the state of affairs in our native land though based in Abu Dhabi where he is a professor of Literature and Creative Writing. He has written columns for the New York Times about his visits to slums and prisons to witness the "Injustice System" in the Philippines ... he even joined Filipino reporters and photojournalists on the EJK beat – EJK is the depressing shorthand for extra judicial killings in my native land, which currently stands at more than 8,000 killed both by the authorities and unknown forces since Duterte came to power – to see for himself the nightly toll inflicted on poor communities in our country. 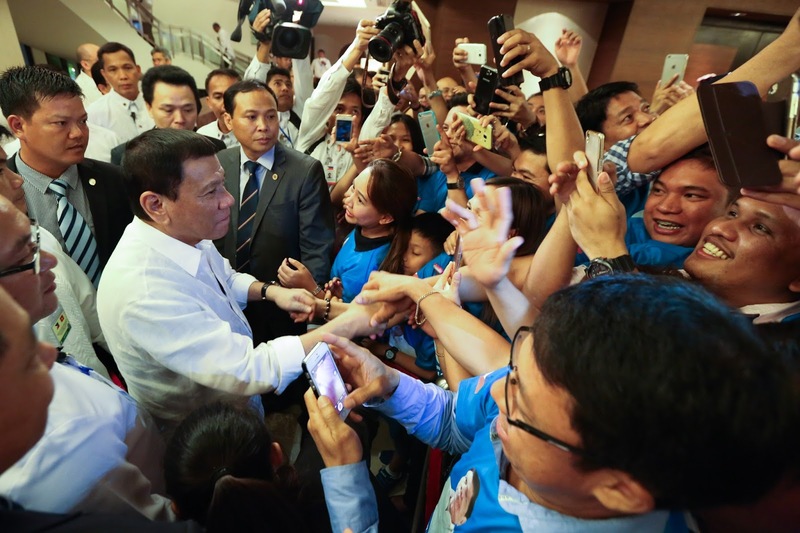 Most recently, he visited the President's hometown Davao City, in an effort to understand the saviour narrative that surrounds our President, who is lauded for transforming this strife-torn city into a peaceful and prosperous place over the 22 years that Duterte was its mayor. He promises to write about his findings soon. Our topic – Truth and Fiction – are two words that seem poles apart. Surely fiction by definition, is a lie? Can fiction reveal any truths? What is truth? Whose truth? Miguel teaches a course in Abu Dhabi titled 'Novels that Changed the World' – exploring fictions such as Noli Me Tangere by Jose Rizal, satirising the abuses of Spanish friars in the 19th century Philippines – it led to Rizal's execution and the Philippine revolution – and All Quiet on the Western Front by Erich Maria Remarche, published in the 1930s, condemning Nazi thuggery – Remarche had to flee for his life. But here we are now living in the Post Truth era – Miguel describes clashing with someone posting fake news who argued: it's not about the facts, it's about the message! Is fake news something new? Is it a thing for our time, the age of social media? Ah but fake news has been around since the beginning of time, I argued. The message has always twisted and turned according to the bearer's intention. Having been a journalist during the twilight years of the Marcos dictatorship in the Philippines, I knew what it was like to live in the shadow of fake/untrustworthy news when all the major dailies were controlled by Marcos cronies. I regaled the audience with the story of how I somewhat inadvertently ended up working for an opposition magazine against Marcos hilariously named Mr & Ms Special Edition. I also offered up another example of fake news – from another era. I have spent the past few years researching a new novel set at the beginning of the Philippine American war. My goal had been to write a novel from the point of view of a tribal child, to describe how his world turns with the invasion of the Philippines by the United States in 1899. The usual way a novelist would create such a voice would be to read up on the era, trying to hear the voices of similar characters through memoirs and accounts. I found none. There were no primary sources. No memoirs capturing the voices of the Filipinos who lived through a war that killed a quarter of the population. In this war the voice of the Filipino is silent occurring mainly in captured documents within military records. The Filipino voice being a text within a text, mediated annotated and translated by her enemy. So in this case, we only get one side of the truth. The American histories, fully illustrated with photographs (Kodak was rising) of grim-faced natives dressed in g-strings, with unsympathetic captions that discussed the ugliness of the Malay countenance, the ignorance, the savagery, the lack of intelligence ... of people who look like me. So now novelists like me are trying to fill in the gaps, to show that there is a possibility of a more complex, more human narrative from that voiceless era. But is there truth in it if I'm making up voices? That is the challenge. I am not used to audiences like the one we had last night – made up of adults, scholars, intellectuals, people with an interest in current affairs in the Philippines. The audience discussed post-Modernism, there were lots of long words, and when I jokingly threatened to Google 'palimpsest' someone in the audience actually gave me the definition in a complete sentence. One comment though really caught my attention. A young student who had family in Baguio City, in mountains north of the main island of Luzon, described how, growing up, his elders described a disconnection with our sprawling capital, Manila. Manila dictated everything and yet understood nothing about their lives. When one thinks about how this feeling is multiplied across our 7,107 islands, the rise of a creature like potty-mouthed, promise-everything, icon-busting Duterte – who is definitely nothing like the Manila technocrats or the dynastic classes that have traditionally held power in the Philippines – becomes somehow more plausible. Which is a comfort really. As a children's author, I am conscious of the powerful impact my fiction can have on my young readers. And even though I feel helpless in the surging tides of events around me, I do take solace in what my art has the power to do. I submit that the creative writer’s true task is to do what we have always done which is to go beyond the simple truth and the obvious to get at the truth of life, the complicated truth, the inconvenient truth, the truth that will drive evil out of the shadows and into the withering light. By this, I don’t mean just establishing the facts although that is difficult and deserving enough. I mean the persistent affirmation of our worth and our infinite complexity as humans against the political powers that seek to oversimplify and dehumanize people by fixing labels on their bloody chests. With thanks to the School of Oriental and African Studies and organiser Dr. Cristina Martinez-Juan, who teaches Philippine Literature in English at the Department of Southeast Asia.